The moment you find a great novel is an exciting one: your breath catches, your heartbeat picks up, everything around you falls away as you can’t wait to turn the page. It’s almost as if you take flight, ascending beyond your day-to-day into a dream world. Even nonfiction books can bring a similar exhilaration, perhaps a little less dramatic than the reading of a novel but no less important. And it can be the same for kids, as books allow them to see beyond themselves and learn about the world around them. No matter how you enjoy the thrill of a new read, Colorado Country Life has a wonderful collection of books for its 19th annual book review issue. Whether you’re craving fiction or nonfiction; mystery, adventure or a little romance; whether you want a gift for a child or a history buff; or whether you want to learn something new or enjoy a coffee-table book, here are books that rose above the rest. And who knows, you might just find one that makes your imagination soar. Young Rod Simone dreamed of flying, of soaring above the clouds. But first he had to graduate from the U.S. Air Force Academy. 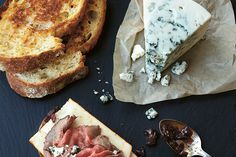 Orphaned when German bombs devastated his small French village during World War II, Rod took an unlikely path to becoming a “doolie” in the 1955 inaugural class of the newly created Air Force Academy. With this book, the first of the Wild Blue U: Foundation of Honor series, the twin stories of Rod, his family and the Air Force Academy meld into an absorbing drama that provides an authentic portrayal of the military academy experience. Written by a former cadet who is now a retired a Air Force colonel, Rod’s story takes the reader along for the ride as he and his fellow cadets meet the heavy demands and rigors this brand-new institution requires of its cadets. 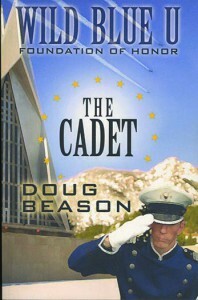 The Cadet (WordFire Press, $19.99) captures the essence of what it was like for those early cadets who established the foundation for the 47,000 future cadets who would follow them. And it launches a rich and colorful saga of an Air Force family that continues through the rest of the three-book series. Order it at online bookstores and watch for information on the rest of the series at wordfirepress.com. This novel that recalls a Kansas family’s month-long vacation along the shores of Colorado’s serene Grand Lake will be loved by those who know this mountain vacation village. The book has the feel of colorized black and white postcards with sailboats and swimmers in the crisp blue waters below majestic mountain peaks. It will take the reader back to a time at the close of World War II. Overall the book is an enjoyable read, especially if you’ve been to Grand Lake. But it is also confusing. Who is it written for? What age group? And what is the point other than to recall a summer in Grand Lake? Is it the child’s story, the grandmother’s search for a new identity, the black maid’s struggle to be her own women and yet earn a living serving this white family? The story centers on an 11-year-old granddaughter, a Nancy Drew wannabe, who is determined to solve a mystery while on vacation with her grandparents. 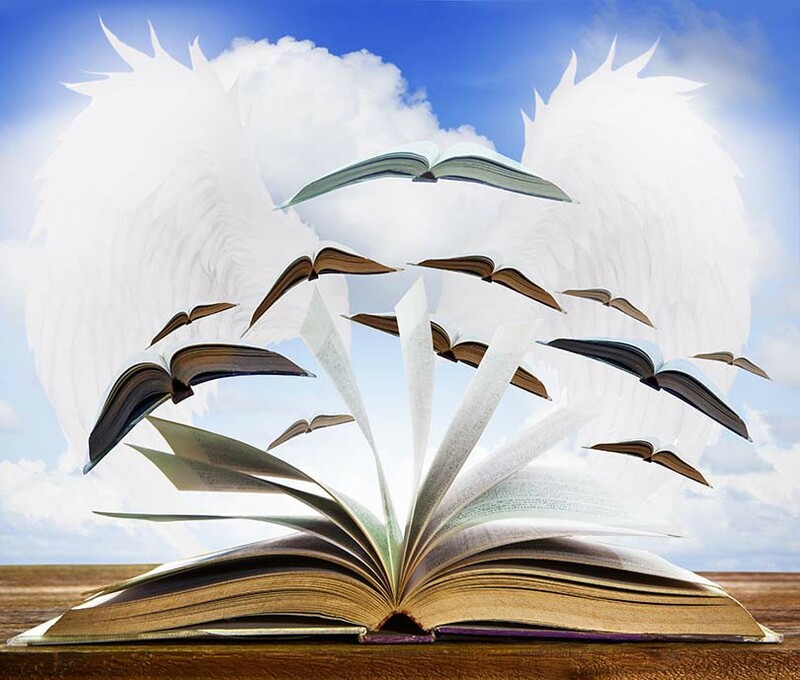 But, while the main character is a child, the book is not written for young readers. But it is not written for older readers either as some of the logic and thinking are very appropriate for an 11-year-old, but too simplistic for an adult novel. And what about the adult themes? The grandmother is beginning to find her own interests outside the home, writing and getting involved in the politics of cleaning up a polluted Grand Lake. And there is Alma, the black maid, who is there to keep an eye on the granddaughter, constantly at the beck and call of the vacationers. Adventure, challenge and pushing your limits are the focus of activities at Double Dare Ranch in southwestern Colorado’s San Juan Mountains. And Serena’s challenging kayak run down a section of the Dolores River certainly meets those criteria. When her kayak flips, it becomes obvious she’s not only trying to right herself in the water but also searching for something to “right” her life — a central theme for numerous guests at the ranch. Blake Cutter, following his passion for the outdoors, opened the ranch after tackling his own hurdles, including adjusting to an amputated leg. Now, nearing the end of the ranch’s first year in operation, wildfires typical of the region, as well as a vindictive nemesis from Cutter’s past, threaten its success. Suspense. Romance. History. Adventure. Revenge. 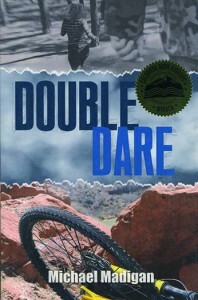 Double Dare (Adventure, $12.95) by Denver author Michael Madigan has it all and appropriately received the Best Thriller/Suspense designation in the 2014 Colorado Book Awards. Follow your adventurous heart by finding this book at michaelmadiganauthor.com or online bookstores. One lone afternoon has the potential to dramatically alter life. For Jim Stegner, an avid fly fisherman and well-known artist who already endured his share of trouble, that afternoon — in which he witnessed the violent abuse of a horse — set off a chain of events that shifted his entire trajectory. A New Mexico native who moved to the wilderness outside of Paonia, Colorado, hoping for a fresh start, Jim deals with passions that are all-consuming as he struggles to live with the grief from his past. The story delicately shifts between edge-of-your-seat suspense and deeper insight into the emotional and mental state of the main character. 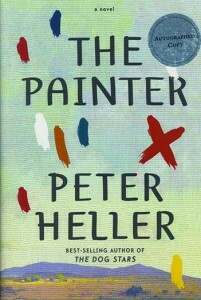 In the beautifully written The Painter (Knopf Doubleday, $15.95), national bestselling author Peter Heller develops the characters so that when the story really picks up, the reader is intimately connected with each person and begins to experience life right along with them. Just beware, adult language is generous. Pick up your copy of the book at local bookstores or online. Tess Cross knows this is a pivotal moment. As she shows up across the street from her daughter’s school on the eastern plains (which Tess dubs “Nowhere, Colorado”) and is spotted by her sister, she can’t help being afraid. A long 10 years have passed since they last saw each other, and numerous years — Tess can’t quite remember how many — since she was actually in touch. Will her sister, not to mention Tess’s own daughter who she gave to her sister to raise, forgive her or even speak to her? Amid Tess’ concerns about her family also linger thoughts of the life she is leaving: her job running drugs and illegal immigrants within the United States. Red Lightning (Counterpoint, $25) is the dramatic journey of one young woman’s desperate struggle to find forgiveness, redemption and healing for her soul. 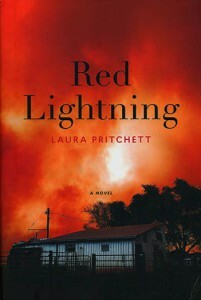 Find this suspenseful, engaging novel by northern foothills author Laura Pritchett at local bookstores and online. The first few dreams were pleasant and simple, a quaint look into an imagined alternate life. In fact, Kitty Miller looks forward to these glimpses into her other self’s life. There in 1963 she, as Kathryn, is happily married with children and spends her time in the suburbs as a doting mother and housewife. She views these forays as she sleeps as an interesting respite of sorts from her nice yet perhaps unsatisfying life in 1962. There she is a single, 38-year-old co-owner of a downtown Denver bookshop, which she opened with her best friend. Yet the dreams begin to feel real, and Kitty begins to question her notion of reality versus imagination. 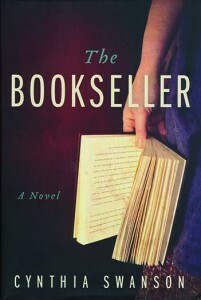 An intriguing page-turner with wonderful descriptions, The Bookseller (HarperCollins, $25.99) packs a powerful ending that is both surprising and satisfying. Denver author Cynthia Swanson provides a stunning debut novel, which can be found at local bookstores and online. In 1936, America witnessed the sensational courtroom trial of nine men accused of compulsory prostitution, including the notorious Charles “Lucky” Luciano, the most powerful gangster in America. A battle ensued between prosecutor Tom Dewey, whose aspirations included a governorship, and defense lawyer George Morton Levy, personally chosen because of his impeccable reputation and unwavering determination. These three key figures along with Cokey Flo, the prosecution’s star witness who is a drug addict and sometimes prostitute, captures the nation’s attention through weeks of testimony and cross-examination designed to uncover whether Lucky and his fellow defendants were guilty. 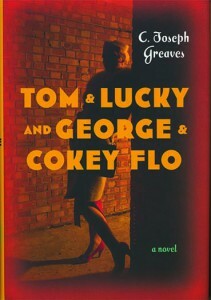 In 2000, newly discovered information from Levy’s personal files gave former trial attorney C. Joseph Greaves the inspiration to weave a gripping novelization of the famous courtroom drama in Tom & Lucky (Bloomsbury, $26). Greaves’ exclusive access to the files inform this taut story that begins nearly 25 years before the trial and concludes with a summary of why the verdict continues to be a point of contention. Both those who are interested in judicial drama and those who enjoy a fascinating read from a Colorado author will want to find this book at local bookstores and online starting this month. 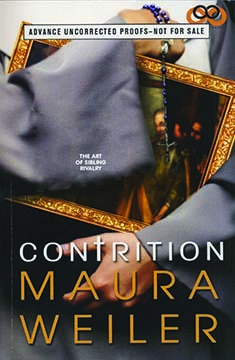 Twin sisters, separated at birth, reconnect in heart-wrenching and inspiring ways in this debut novel by Denver author Maura Weiler. One sister, Catherine, is a cloistered nun who has taken a vow of silence and communicates to God through her heavenly art. The other sister, Dorie, who was placed for adoption at a young age, is now a journalist trained to tell stories. 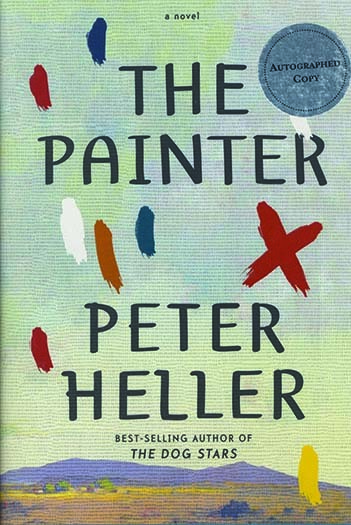 The book opens as Dorie learns that her biological father was a famous artist. More than that, she discovers she has a twin sister, Catherine, whom her father kept and raised and who has inherited her father’s talent. The story follows Dorie as she tries to come to terms with her adoption and as she tried to get to know this new sister who is a sister. To get close to Catherine, Dorie poses as an aspiring nun at the convent where she can watch her sister and connect with her in small ways. As the sisters’ relationship grows, Dorie comes to know more about herself as well as Catherine, but the two disagree over the meaning and purpose of Catherine’s art. This is a story of the heart, of discovery and of complicated relationships (Infinite Words, $15) that is well worth the read. Get your copy online. 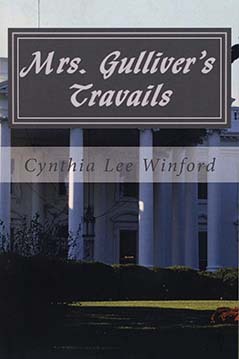 The recently widowed Annah Gulliver, heiress to an historic plantation in South Carolina, is ready for something new. She is tired of the routine and the expected. She is not interested in her gentleman caller who is “perfect” for her, according to the old “friends” who surround her. She finds she just doesn’t care that much about her work at the museum and all of things she “should” get done. 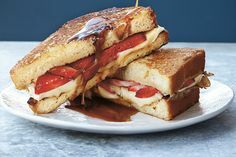 She is especially weary of her three adult children, their feeling of entitlement and their fighting over what they think they should receive as an inheritance from their father. So, on a lark, she and an adventurous true friend head out for Florida with sort of an idea of how to get there and not much actually planned. The trip and the new people Annah meets along they way bring more travails, but also insight and growth. Find this book (CreateSpace, $12.99) by a Black Forest author at online book stores. Exposing the dark truth about two vicious attacks, one high in the mountains and one in downtown Glenwood Springs, is only a matter of time for backcountry expert Allison Coil and persistent newspaper reporter Duncan Bloom. When they each begin investigating separate but equally disturbing incidents, the stakes and the suspense are high. 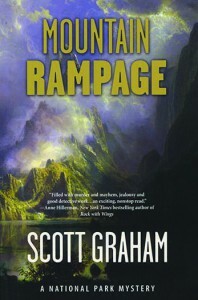 Vivid imagery and dynamic plot twists dog every step of these two investigators’ journeys, one as a layperson who finds refuge from the chaos of life by escaping to the mountains, while the other — an investigative reporter through and through — charges head-on into the chase that unravels unthinkable evils in the beautiful mountain community. 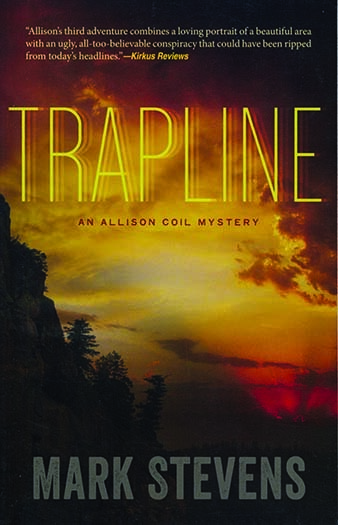 Trapline (Midnight Ink, $14.99) author and former reporter Mark Stevens is no stranger to following a lead for a story, and he weaves a brilliant tale that makes it difficult to put the book down. Find this clever read at local bookstores and online. Andrew Carson stops to help someone whose car seems to have slid off the road and then he turns up missing. 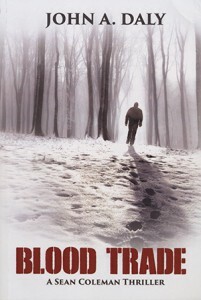 A pool of blood in his snowy driveway is the last clue as to what has happened to him. Sean Coleman finds himself flirting with a woman at the plasma bank he frequents to help pay the bills. In an effort to learn more about her, he discovers that she’s connected to someone who has gone missing. Andrew Carson? At the same time Sean’s brother-in-law Police Chief Gary Lumbergh is being stalked by someone who is getting more and more threatening. Is it payback for Lumbergh taking out a major criminal, whose equally dangerous brother had just escaped from jail? Three different events — do they all tie together in this latest thriller by Colorado author John A. Daly? It is a story filled with deception, sad desperation and a lot of danger. Who will make it out? Is Andrew Carson still alive? How will Sean, who always seems to bumble into trouble spots with the best of intentions, make it through? 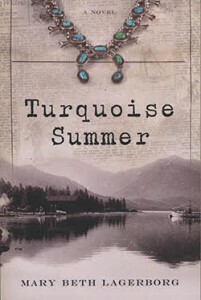 A quick read, this mystery novel by Red Feather Lakes summer resident Larry Hutchins (CreateSpace, $15) centers on a seemingly cursed ranch where Lady Meath has had two husbands die in bizarre, grizzly accidents. 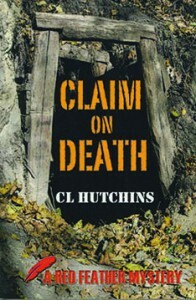 Then Lady Meath dies, a mummified body is unearthed and death claims yet another victim. A young woman, Jackie, a divorced mother trying to make it on her own is struggling to get her real estate career started. She thinks she’s caught a break when she gets the chance to list the Meath Ranch for sale, that is until she is pulled into the mysteries that surrounded deaths on the ranch. Then her daughter goes missing and the tension increases as she is caught between an old flame and the new deputy sheriff. Find the book at online bookstores. His new job as head of the summer archaeology field school in Rocky Mountain National Park is exactly what Chuck Bender hoped it would be. Yet, as Chuck begins to anticipate the successful completion of the field school’s first summer, his hopes of returning begin to quickly erode. One of his team leaders, who also happens to be his brother-in-law, is accused of murder. Then Chuck stumbles upon a flock of sheep, all dead and missing their horns — clearly illegally poached. Chuck realizes he must be the one to clear his brother-in-law’s name, uncover the mysterious murderer, and right the mishaps that occurred. 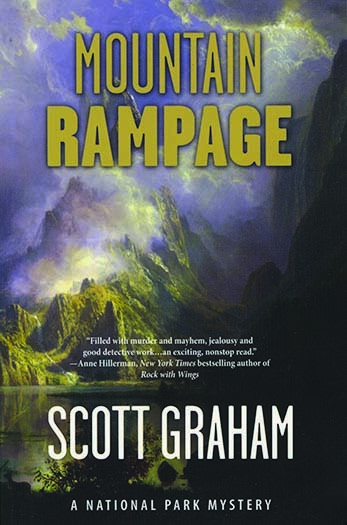 In Mountain Rampage (Torrey House, $14.95), Durango-based author Scott Graham utilizes short chapters to encourage a quick read that leaves no room for a dull page in this second novel about Chuck Bender. Buy a copy at local bookstores or online. County newspaper columnist Carol Dunn examines what it’s like to live in this unique, challenging, colorful, dry, forgotten part of Colorado. She moved to the southern Colorado county in 2005 and thought the area was beautiful and perfect. Only later did she start having to deal with the wind and the adobe bugs. And then came the drought. But she also began to understand the amazing love-hate relationship most residents have with this area they call home. And she started to write about it in ways that will make you smile. 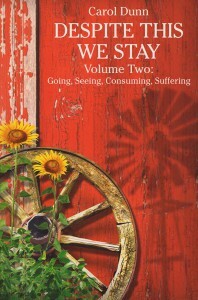 Order this compilation of columns (Morris Publishing, $14) on amazon.com or contact Carol at PO Box 1213, La Veta, CO 81055. Part of the Postcard History Series, this photo-packed book gives a visual tour of Rocky Mountain National Park, which just celebrated its 100th anniversary. Many of the postcards featured are from author and Grand Lake summer resident Suzanne Silverthorn’s private collection. Some date back to those early days when promotional campaigns drew wealthy travelers to the park through the beautiful postcards circulated. The images show the majesty of the park and the luxury of the hotels in the gateway communities of Estes Park and Grand Lake. 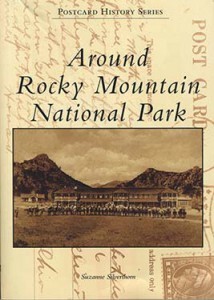 The book (Arcadia Publishing, $21.99) can be ordered online or purchased in Rocky Mountain National Park’s gateway communities. 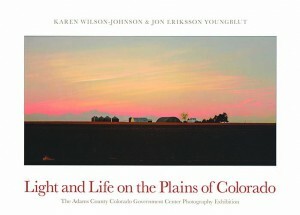 The original photography of the authors captures the stark and breathtaking beauty of Colorado’s eastern plains in a 240-page book you will never tire of paging through. 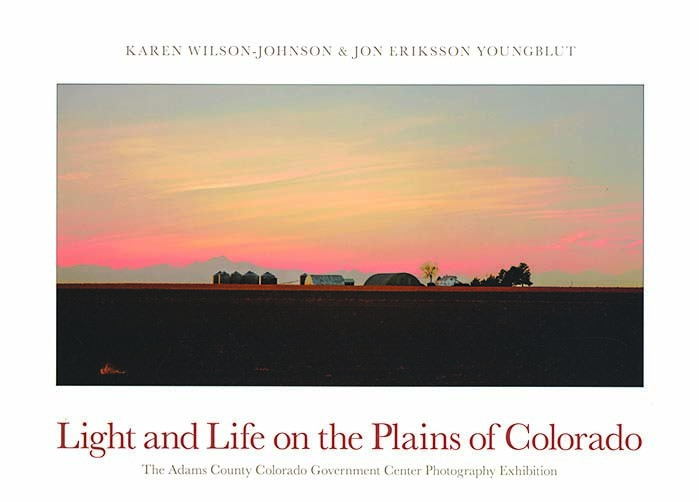 Originally shot over a two-year time span for a photographic exhibition of agrarian landscapes for the new Adams County Government Center, the photos were also compiled in this beautiful coffee-table book (Wilson/Johnson Creative, $50). With sparse but poignant prose and hundreds of photos that capture life on the plains, this book pays homage to a Colorado those who don’t look beyond the mountains can miss. There are the expansive, wide-open shots of angry skies and sweeping landscapes. And there are the detailed close-ups of crops and cows and rusting gas pumps. It’s all there. Order the book at kwj.photoshelter.com or ask your local bookstore to order it for you. Aspens trees throughout the San Juan mountains in southwestern Colorado have stories to tell and Durango author Esther Greenfield is helping tell those stories. The trees have arborglyphs carved on their trunks. The arborglyphs were carved in the early part of the 20th century by sheepherders and cowboys far from home tending sheep or cows or riding through. 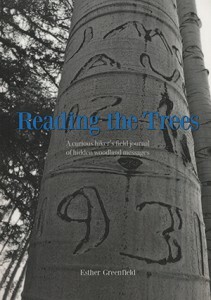 These men pulled out knives and carved pictures, words and dates into the thin bark of the aspen trees. Through the years sap darkened this artwork and today it can be prominently seen throughout the woods. However, these aspen trees are nearing the end of their life cycle and many are falling and rotting away. Esther has photographed and carefully copied about 1,300 of these messages from the past. Many are collected in this recently published book (CreateSpace) that also chronicles the history of arborglyphs and the men who carved them. The book is available at Maria’s Bookshop in Durango and at Between the Covers in Telluride. A journey through high-risk pregnancy, premature birth, and one child’s fight to live, this triumphant book (Lighthouse Publishing, $14.95) is about a Wet Mountain Valley couple who chose life for their baby after a devastating diagnosis at about 18 weeks of gestation. Doctors said the baby would never make it or, if he did, he would be severely handicapped. This couple was told that their best choice was to terminate the pregnancy. They chose not to. This book is their story and the story of Jacob, who was born at 24 weeks and is now a 10-year-old boy with minimal health problems. It is a story of faith, obedience and God’s grace. 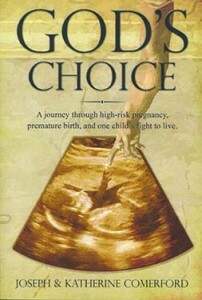 Learn more about this book at www.facebook.com/GodsChoice555 or order the book at online bookstores. At age 39 with three teenage boys, Michele did not consider cancer part of her planned and scheduled life. Nor did she think that just months after her diagnosis she would bring three young children into her home. In fact, her entire life had thrown numerous things her way that went directly against her grand, “happily-ever-after” plan — like divorce and being a single parent, then remarriage and a blended family. At every bend, Michele tackled the curves with vigor and determination, certain she could turn the circumstance into the perfect life she hoped for. 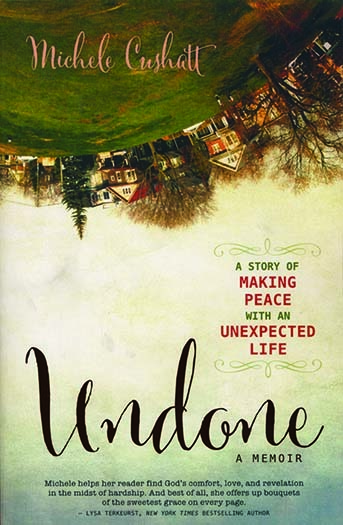 In her beautiful and refreshingly honest memoir, Undone: A Story of Making Peace with an Unexpected Life (Zondervan, $15.99), this Colorado author shares her journey to discovering that she must rely on her faith and embrace the mess. 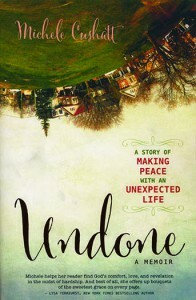 Michele’s touching story of her unexpected life can be found at local bookstores and online. Aubert de Villaine considers his position at La Romanée-Conti as a calling, a reverential task, almost as if he is a father figure to the infant vines he is gently nurturing. And no wonder: The centuries of history and tradition that surround the vineyard — which produces Burgundy’s finest and most expensive wines — and the entire French region is astounding. 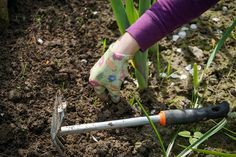 So it’s no surprise that he experienced utter shock and heartache in January 2010 when he received a threatening note demanding a one-million-euro ransom or his vines would be poisoned and destroyed. 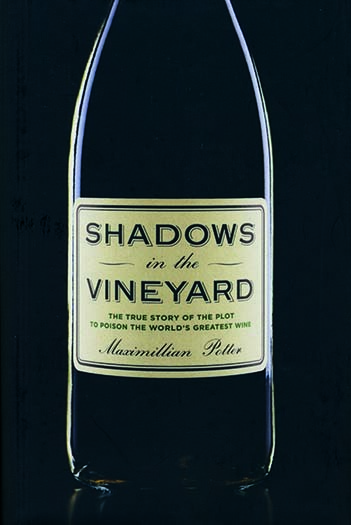 The resulting investigation was as dramatic as one could imagine for something so potentially devastating to the vineyard, to the region, to the wine industry and to oenophiles everywhere. 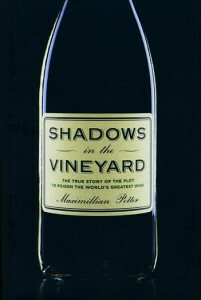 The unfolding story and the years of culture, love and dedication that lead up to this famed vineyard are uncovered in the expertly written Shadows in the Vineyard (Bookish, $27). Author Maximillian Potter, journalist and former senior media advisor for Colorado Gov. John Hickenlooper, first got hooked on this story while writing for Vanity Fair. You’ll want to drink deeply of this enthralling saga found at local and online bookstores. In a stunning wordless picture book called simply Noah (Plough, $19.95), artist Mark Ludy, re-creates the biblical tale of Noah, who built an enormous boat to save his family, the animals and anyone else who would join him from a massive flood. Ludy, a former Windsor, Colorado resident, sells this book of art at markludy.com/noah-the-wordless-picture-book/ and other online bookstores. 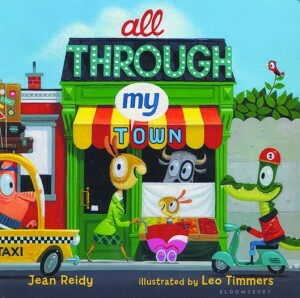 Narrated in an energetic rhythm that rolls off the tongue, each page of All Through My Town (Bloomsbury, $7.99) is filled with adventure as little bunny and mommy stroll through town. Author Jean Reidy, who writes from her home in Colorado, uses action-packed words that are naturally read in a playful tempo. The details within each of artist Leo Timmers’ vignettes are intriguing, as charming animals go about their day-today lives. Order the board book at online bookstores. The 1941 bombing of Pearl Harbor set off a dark chain of events, including the imprisonment of 12-year-old Tomi Itano’s father and the relocation of Tomi’s Japanese family to a Colorado internment camp (based on the historical Amache camp). 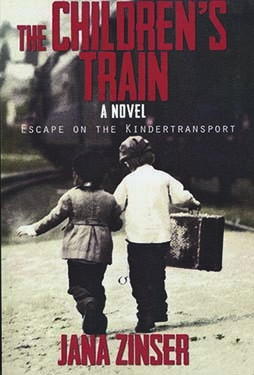 This heartbreaking but also heartwarming historical work of fiction offers a glimpse for ages 9 and up into numerous powerful topics. 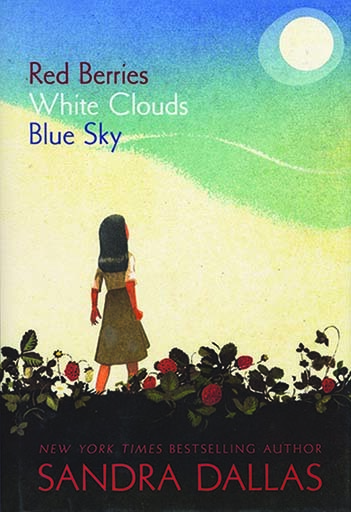 Journey back into history with author Sandra Dallas and her book, Red Berries, White Clouds, Blue Sky (Sleeping Bear, $9.99). 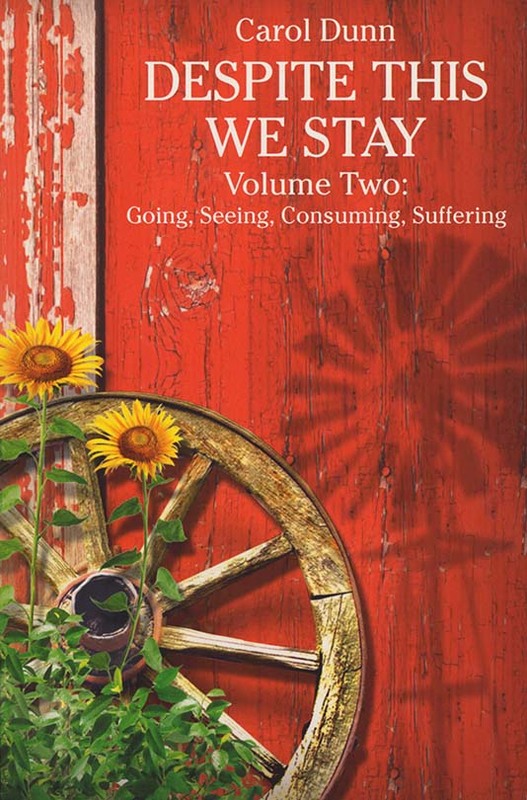 A 2015 Willa Literary Award runner-up, this book can be found at local and online bookstores. Bernie is accustomed to the effects of death, at least as comfortable as a 12-yearold can be. For years she watched her grandmother comfort those who grieve a loved one and her father carve names and dates into memorials at their family monument company. But Bernie begins to suspect something is strangely amiss when a few untimely deaths promptly occur after a drifter named Mr. Abbot Stein starts helping her father engrave headstones. 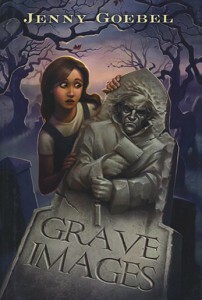 Grave Images (Scholastic, $16.99) by Colorado author Jenny Goebel is a gripping juvenile mystery recommended for grades 3-8, and has just the right amount of scary to keep the kids interested. Order your copy of this award-winning novel online. 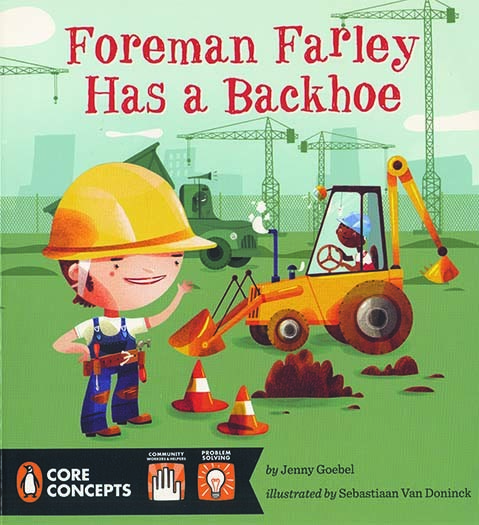 Join Foreman Farley (Penguin, $3.99) as he sets out on an adventure to build a new school. 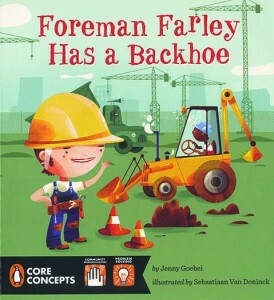 Colorado author Jenny Goebel uses playful wording to bring the character and his crew to life. Bring this book home from a local bookstore or purchase it online. 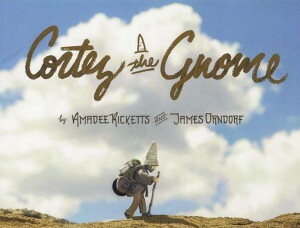 Cortez the Gnome (Canyon Largo, $8.99) is a charming picture book featuring a tiny gnome and his grand adventure to visit his brother, Winslow. 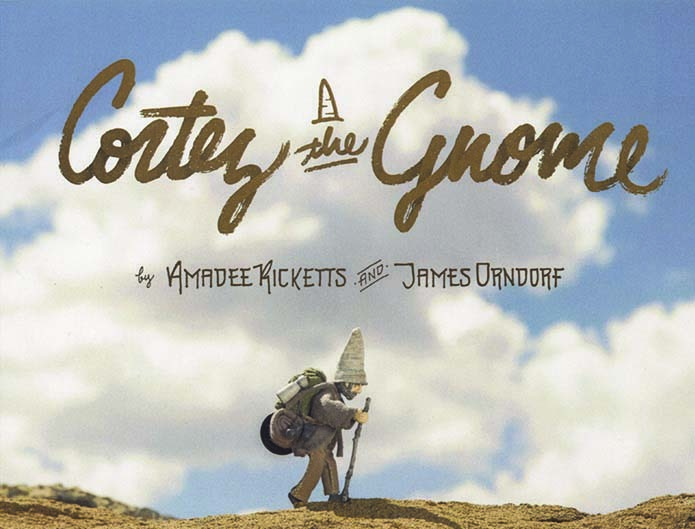 Written by Durango resident Amadee Rickets, it is illustrated through tiny sets staged with great attention to detail and then photographed by the author’s husband, James Orndorf. 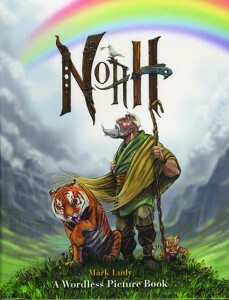 Recommended for ages 4-8, the delightful story and enchanting images are complemented by the gnome’s website at cortezthegnome.com. Find the book online and at Maria’s Bookshop in Durango. 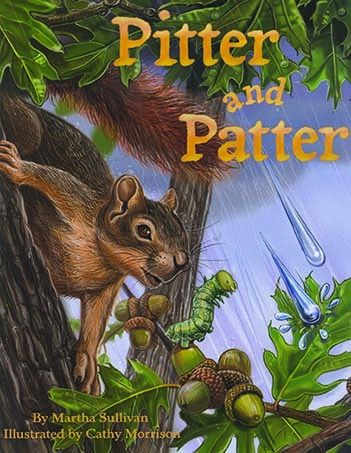 Author Martha Sullivan, who is passionate about connecting children with the natural world, tells the educational story of the water cycle in a clever way that will entertain kids ages 4-10 in Pitter and Patter (Dawn, $8.95). 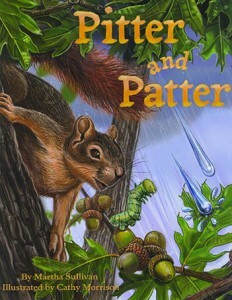 The tale is digitally illustrated by Poudre Valley REA member Cathy Morrison of Livermore. Join these two raindrops’ journey by ordering the book online. 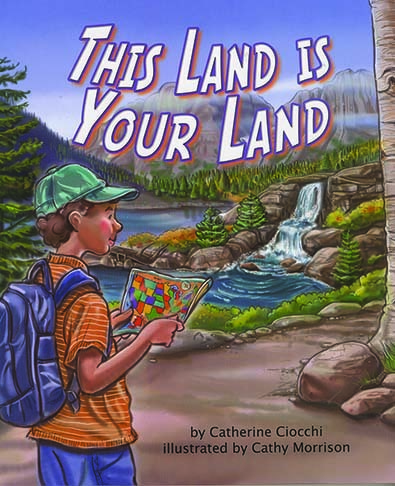 From plateaus to mountains, plains to peninsulas, archipelagos to volcanoes, landforms of all shapes and sizes come to life for children ages 4-8 in This Land Is Your Land (Arbordale, $9.95). 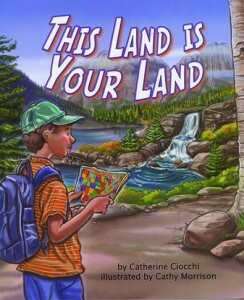 The picture book, illustrated by Colorado artist Cathy Morrison, includes additional resources to expand a child’s understanding of the subject. Purchase this fascinating book online. If you are looking for an old West tall tale for a juvenile reader, then you’ll be happy to find this story of a Buffarillo (a half buffalo, half gorilla with wings) and his friends. 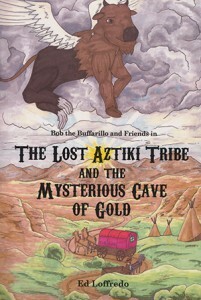 Bob the Buffarillo, Easy Ed, Cherokee Dan and Piccolo Pete share adventures as they search for a lost Indian tribe, a missing princess and a mysterious cave of gold. 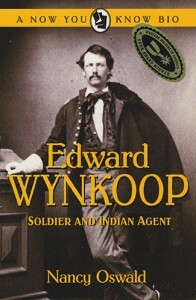 Denverites know Wynkoop as a downtown street and a brewery, but do they know that those landmarks can trace their name back to an historical figure? Edward Wynkoop arrived in the frontier town of Denver City in 1858 and Colorado author Nancy Oswald tells Wynkoop’s story in this well-researched biography for readers ages 10 and up. Born in Pennsylvania, he moved to Kansas as a young man and was only 22 when he moved on to Denver. He had no way of knowing that it wouldn’t be long and he would be influential in the his new hometown, participate in a major Civil War battle and become a defender of the Plains Indians. 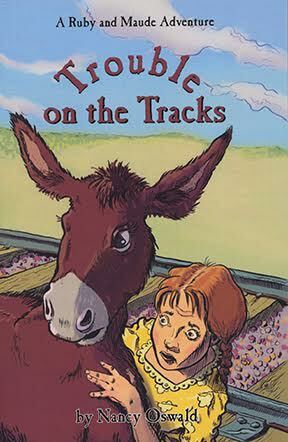 It is 1896 and 11-year-old Ruby and her donkey, Maude, are off on another adventure in Cripple Creek. Devastating fires just destroyed most of the town and the people are working to rebuild the community. While Ruby was told to stay away from the busy construction and out of the way, circumstances and a troublesome cat are more than she can resist and she ends up in the middle of train robbery complete with Pinkerton agents in disguise, a bad man Ruby thought was out of her life for good and the need for bloodhound to solve the mystery. It all sounds fantastical, but what really makes this young adult novel interesting is that Cotopaxi author Nancy Oswald based this story on a newspaper article from March 25, 1895 that was headlined “Train Robbery in Colorado — Two Masked Robbers Traced by a Bloodhound and Captured in a Log Cabin in the Woods.” Reading this book, filled with details from Cripple Creeks early days, young readers can learn that Colorado history is filled with adventure and excitement. 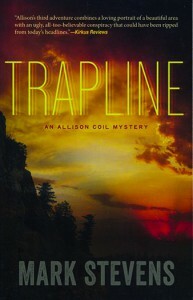 Find the book (Filter Press, $8,95) at FilterPressBooks.com or at online bookstores. This is a book for cat lovers. Part pet memoir and part coffee table book, the 230-page book (Four White Feet Publishing, $24.95) tells the story of a once-stray cat who was diagnosed with heart and kidney disease and given only a short time to live. 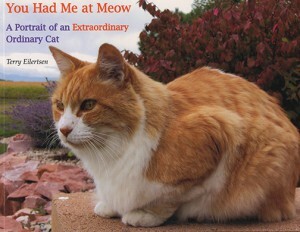 As the cat, Simon, miraculously continued to live, animal lover Terry Eilertsen, decided to document Simon’s “extraordinary ordinary” life. The result was this book, which document one year of Simon’s life. 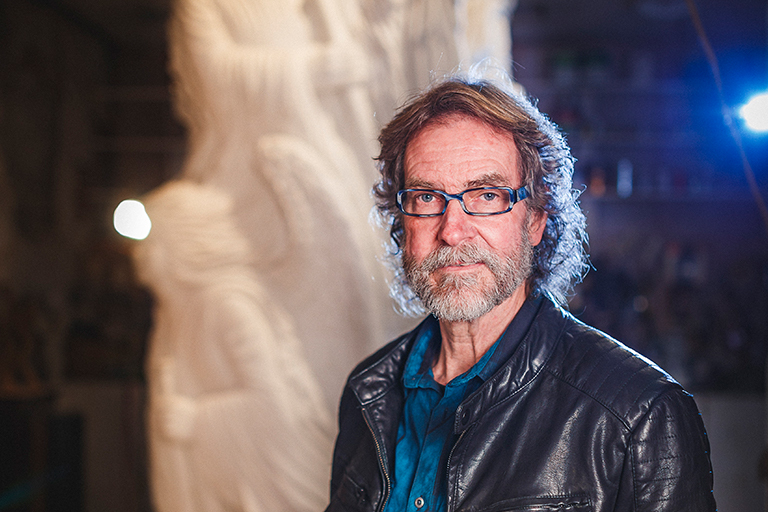 Readers will enjoy Simon’s big green (or are they hazel?) eyes staring straight into the camera and the photos of him napping in the sun. He’s there, pawing at the computer or digging in a bucket outside. There is a year’s worth of cat. And, the short prose that is interspersed shares Simon’s story, a cat who found a home and gave as much love as he got. The book is available on Amazon and at some northern Colorado gift stores and bookstores. Or order it at fourwhitefeetpublishing.com. 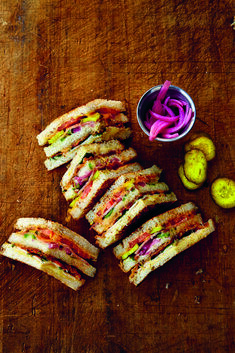 Jennifer Nelson is a wife, mom and freelance writer and editor in Dallas, Texas. Her first job out of college was working at Colorado Country Life, one of the reasons Colorado holds a special place in her heart. Jennifer loves curling up with a good novel as well as reading with her 3-year-old, who has already realized the fun of diving into a good book.